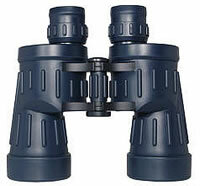 A high quality marine binocular sealed against water penetration and nitrogen filled to prevent internal condensation with the added protection of rubber armouring. 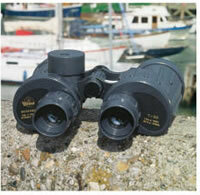 Large objective lenses and BAK-4 prisms produce bright images in all levels of lighting. Also available with the additional feature of an integrated compass (compass is balanced for use in the northern hemisphere).